← Help! I have -2, -3, or -4 Session ID! The Always-On Availability groups are a high-availability feature and disaster-recovery solution, which offers an enterprise-level alternate to database mirroring. An availability group maintains an environment for discrete set of databases for users, which is called availability databases. There are various terms and definitions mentioned that are used in disaster recovery planning with Always-On Availability groups. An availability groups maintains the set read-write primary databases and one to eight sets of consistent databases. However, secondary databases are only available for read-only and to perform some backup operations. When user adds the database, it links the availability group as primary database, though remaining accessible for clients. There is no secondary corresponding database available until the backup is restored of new primary database to server instance, which hosts the secondary replica. Until the new secondary database is joined to availability groups, it is present in the restoring state. The online state of joining places of the secondary database indicates the synchronization of data with primary database. Data synchronization is the way with which the changes are reproduced from secondary database to primary database. It includes the primary sending of database transaction log records to the secondary database. Every availability groups describes the set of two or more failover partners that are called availability replicas. These are the components of availability groups. It hosts a copy of availability databases in the group. 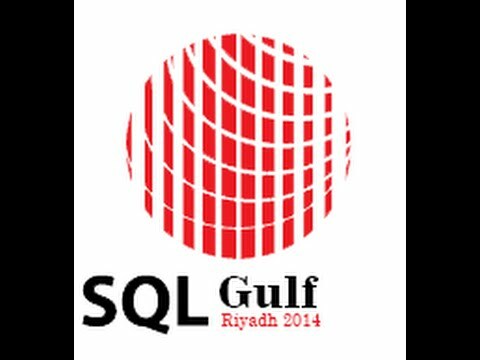 It must be hosted by distinct instances of SQL Server, which exists on diverse nodes of WSFC cluster. All these server instances should be enabled as always on. Only one availability group can host only one availability replica. Given instance can be either FCI (failover cluster instance) or a stand-alone instance. If the users require server-level redundancy then they can use FCI. An initial role is assigned to every availability replica-either secondary or primary that is inherited by replica of availability database. The role of the replica defines that the hosts is read-only database of read-write database. One such replica for read-write databases are known as primary databases. Another replica for read-only database is known as secondary database. It supports the availability replicas up to nine. Each availability group supports only one primary replica and up to eight secondary replica. It maintains the various forms of availability in group failover such as manual failover, automatic failover, and forced manual failover. Sustains an availability group listener for every group availability. over availability- group failover it keeps the flexible failover policy for greater control. Automatically page repair for the protection against the corruption of page is supported. Supports the compression as well as encryption to perform safe, secure, and high performing transport. Offers an integrated set of tools, which helps to simplify deployment and management of availability groups. It supports an alternative availability mode, i.e. Asynchronous commit-mode and Synchronous commit mode. In the above content, the disaster recovery planning with Always-On Availability groups is discussed. Some terms that are used with Always-On Availability groups are described. Along with it, the benefits of using Always-On Availability groups are discussed. It helps the users to have the proper understanding of the terms that comes in utilization.